Darren Compton is a multi-skilled dynamic young indigenous performer; he is proficient in every area of the culture, as a didgeridoo player, and dancer, in both traditional and contemporary styles, covering the mainland and Torres Strait islands. Darren has a heritage in both the Bundjalong and Kamilaroi Tribes from the mainland and Murray Island from the Torres Strait. 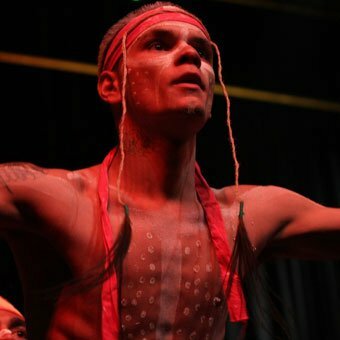 The Aboriginal Deadly awards Sydney Opera House performance nomination. Artists in residence Australia Museum Descendance. Tour of Hawaii Honolulu Festival. Tour of Serbia and Italy, performing at two of Europe’s prestige festivals: The Guca Festival (Serbia) and Natibongo Festival (North-West Italy). Tour of Mauritius & Seychelles with The Australian Film Festival. Tours London with Descendance for The Toast Festival and performance at Lords. NAIDOC Ball and Aboriginal Awards, Canberra Convention Centre. New Zealand Tour through Tourism Australia Descendance. Performing for the Pope International Youth Week Sydney. Dreaming Festival Woodford QLD, Producer Rhoda Roberts. Olympic Torch Relay Athens Games. Sydney Dreaming Festival, Producer Rhoda Roberts.